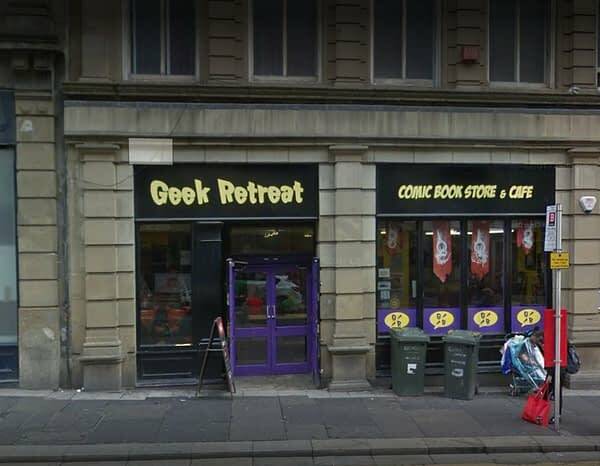 I noticed there was one in Leeds when I was up there for Thought Bubble but didn’t get a chance to pop in. 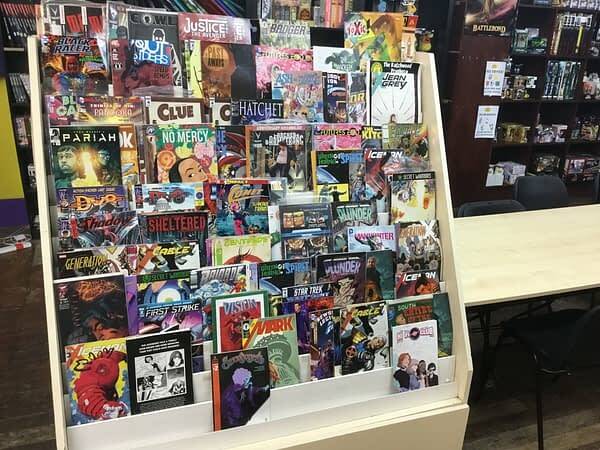 But a trip to Newcastle gave me a chance to pop into the Geek Retreat opposite Forbidden Planet on Grainger Street, which is a rather confident placing. 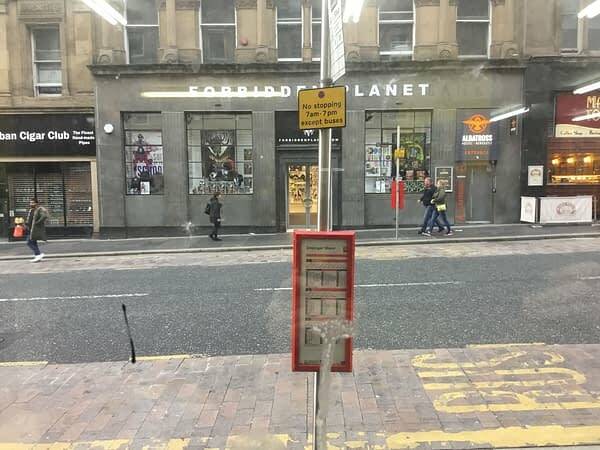 How opposite Forbidden Planet is it? 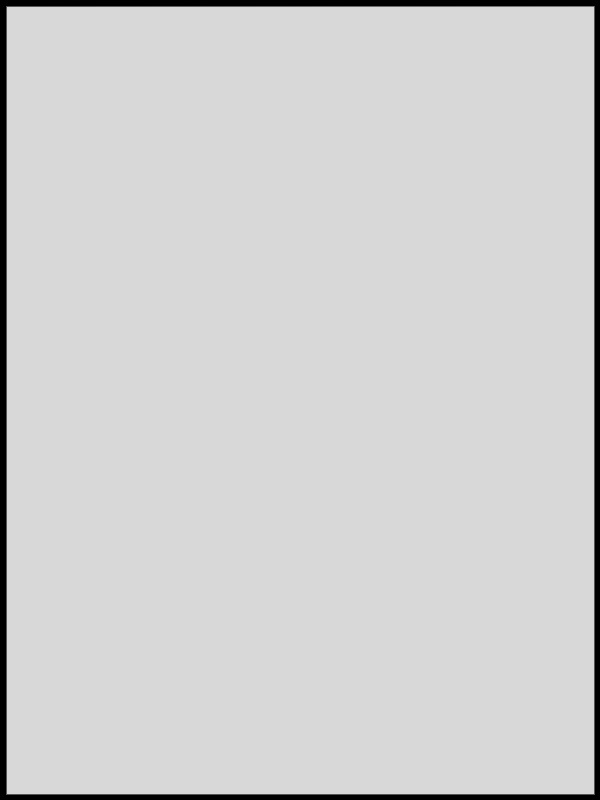 Well, this is the view from the window. 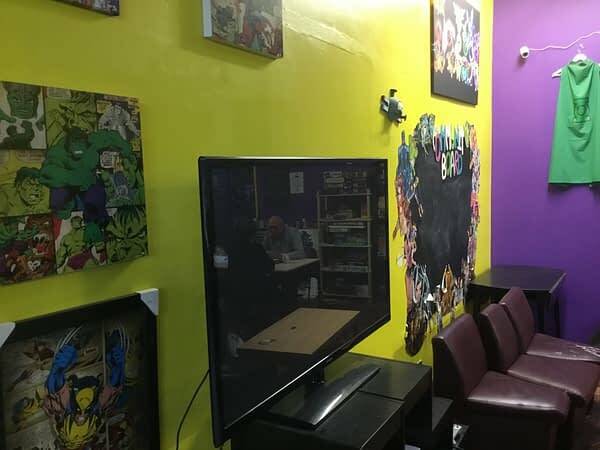 Which is a rather aggressive placement. 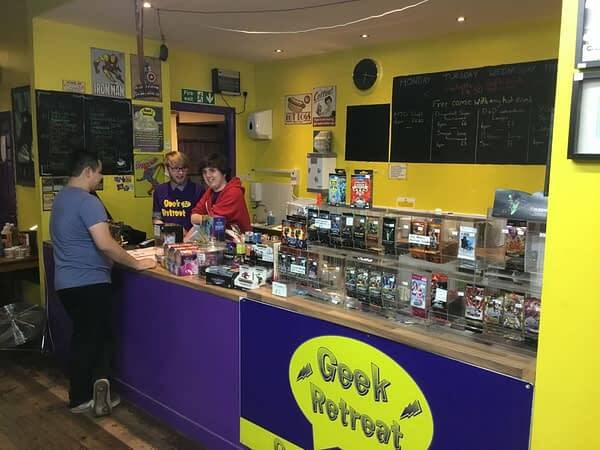 Other Geek Retreats have opened around the country, including Glasgow, Birmingham and Milton Keynes but none quite as close to a potential rival. 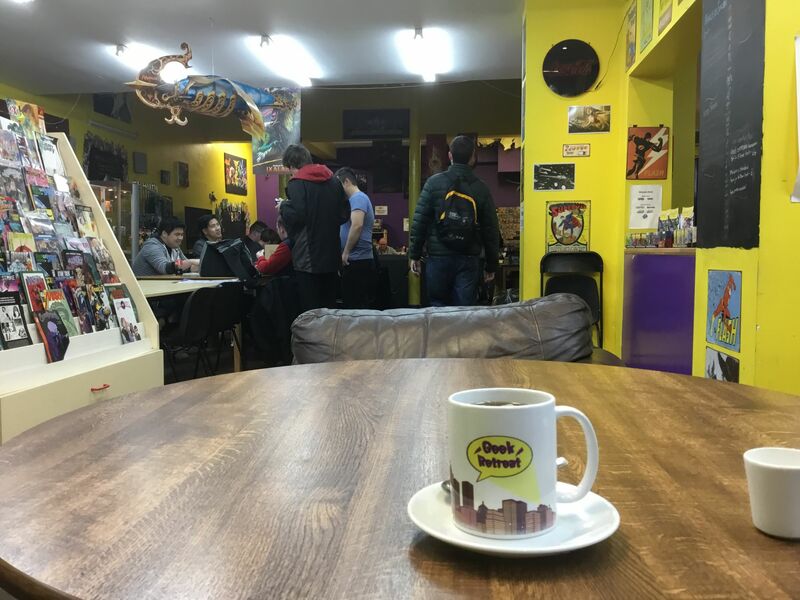 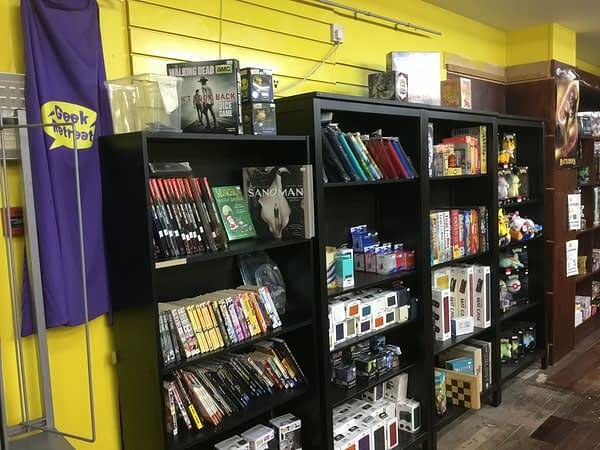 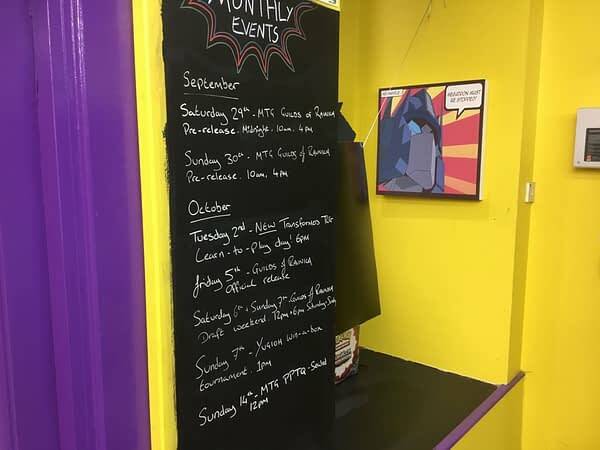 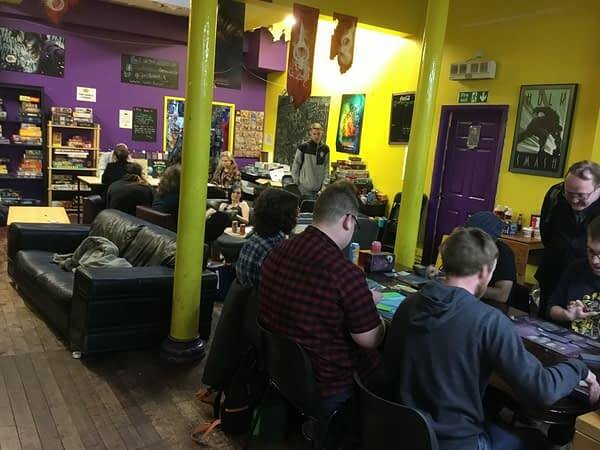 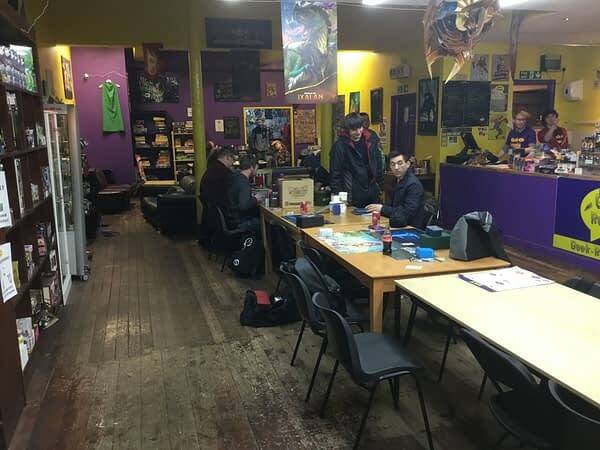 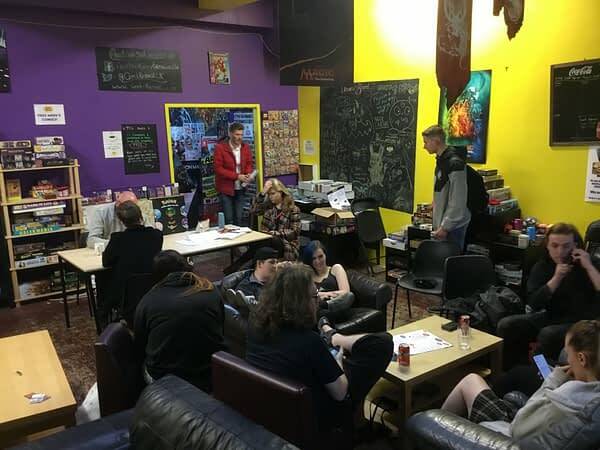 It’s not a duplication however, while you can order new comics and the like through the Geek Retreat, they are principally a cafe, a restaurant, a bar, a place to hang out, organise gaming and chill – possibly before you go to Forbidden Planet. 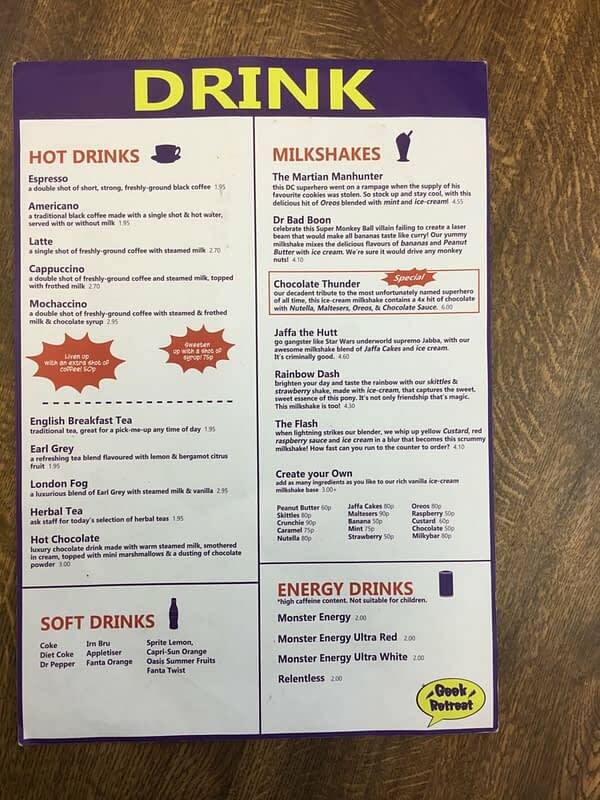 Oh and you get a free comic with every hot drink – with someone’s back issue collection, presumably, to choose from. 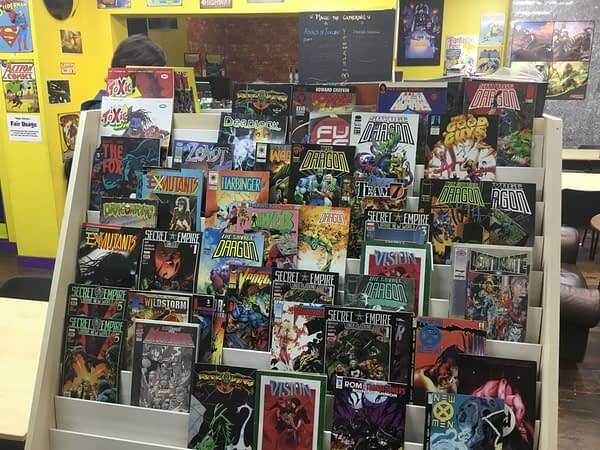 I went with a copy of Battle Chasers #3, I was in a nostalgic moment. 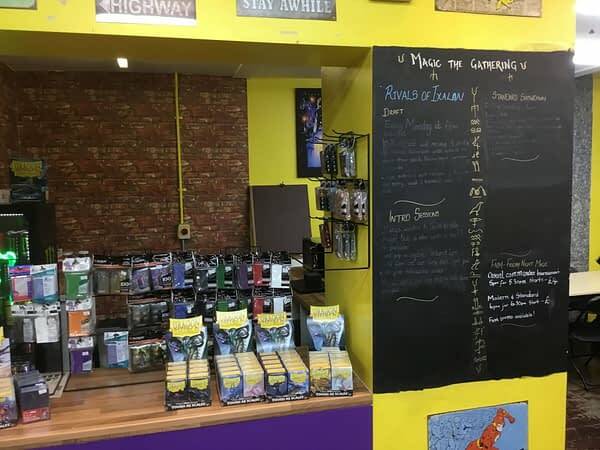 Created by husband and wife team, Stephen and Carina Walsh, they are also looking for franchise expansion if you think your city could handle such a place. 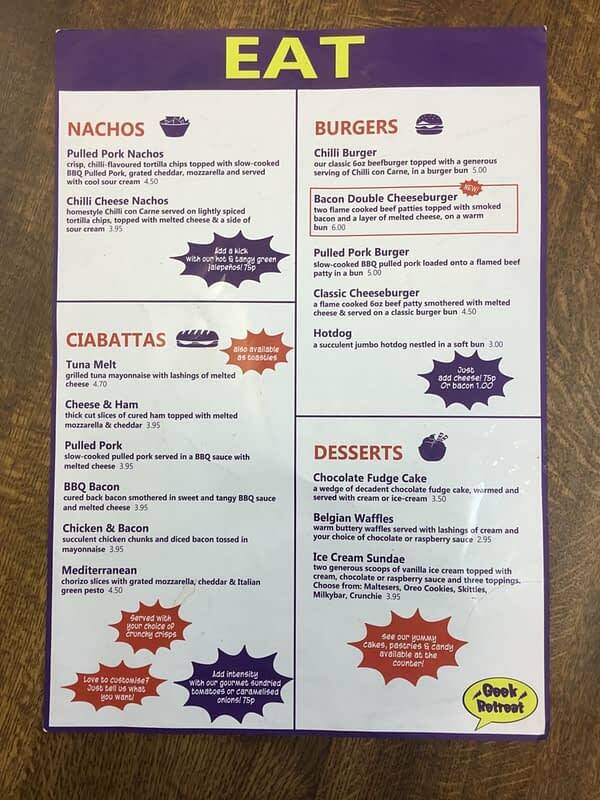 Here’s how the Newcastle place looks, and what is on offer.